At Total LifeSafety Corporation, we inspect, install, and repair the majority of fire hydrants. We make maintenance of the fire hydrant repair simple for our customers, and our “One Call Does It All” reputation stands especially true with hydrants. We offer a wide scope of expertise, from planning the entire installation to finding the right parts for service. In addition, our technicians can do the job quickly and dependably. Preventive fire hydrant maintenance is one of our specialties. Total LifeSafety Corporation fire hydrant inspections comply with the requirements of the National Fire Protection Association (NFPA), state fire marshal, and all local county and city ordinances. Ours inspections include the lubrication of caps and fittings to ensure that the fire hydrant operates properly and minimize the future risk of major repairs created by improper preventive lubrication maintenance. Total LifeSafety Corporation repairs most fire hydrants on the market today. 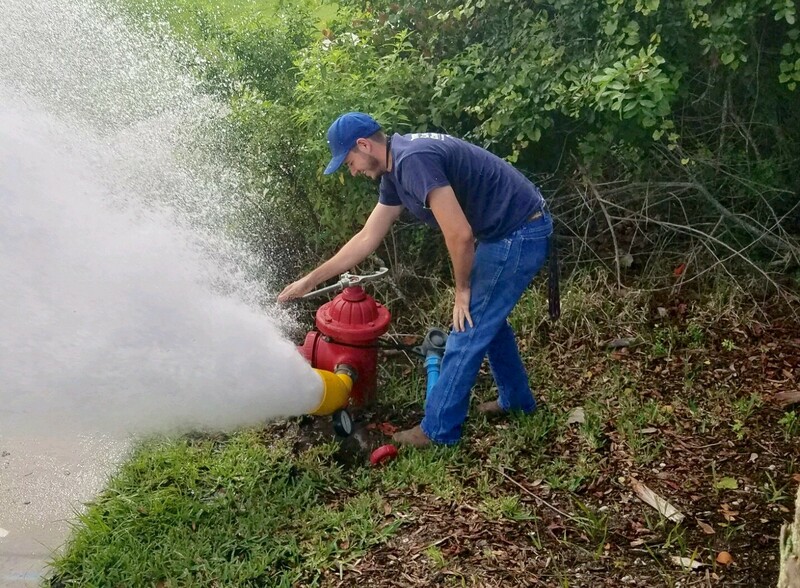 If you have a hydrant that requires a water flow test to ensure proper water pressure or replacement of a traffic kit because of a fire hydrant collision, our technicians are available 24 hours a day, 7 days a week to assist. Our repairs include leak kits to prevent leaks, valve repairs, and chain replacement. 24 hours a day, 365 days a year, our technicians are equipped and ready to service your fire hydrant. Our employees are NICET and factory certified to handle most fire hydrant emergency repairs. The surface of the hydrant that is visible is just the tip of the iceberg. Our trained and certified technicians can handle any obstacles that may surface during the removal and installation of older utility equipment. In addition, we are able to upgrade the underground connections, utilizing a more complete dependable means of operation. Total LifeSafety Corporation expertly installs fire hydrants that are dependable and well designed and will perform a flow test on your hydrant to ensure system pressure demands are met.